In this historic, one-night only event, internationally acclaimed artist and Mount Holyoke alumna Joan Jonas will direct a reconfigured staging of her groundbreaking 1969 and 1970 performances, Mirror Piece I and Mirror Piece II. Mirror Piece I and II were the first in a series of time-based works that established Jonas as a leading figure in the field of performance art. Motivated by feminist ideas, these pieces explored gender hierarchies, the power of the gaze, and notions of perception and representation. 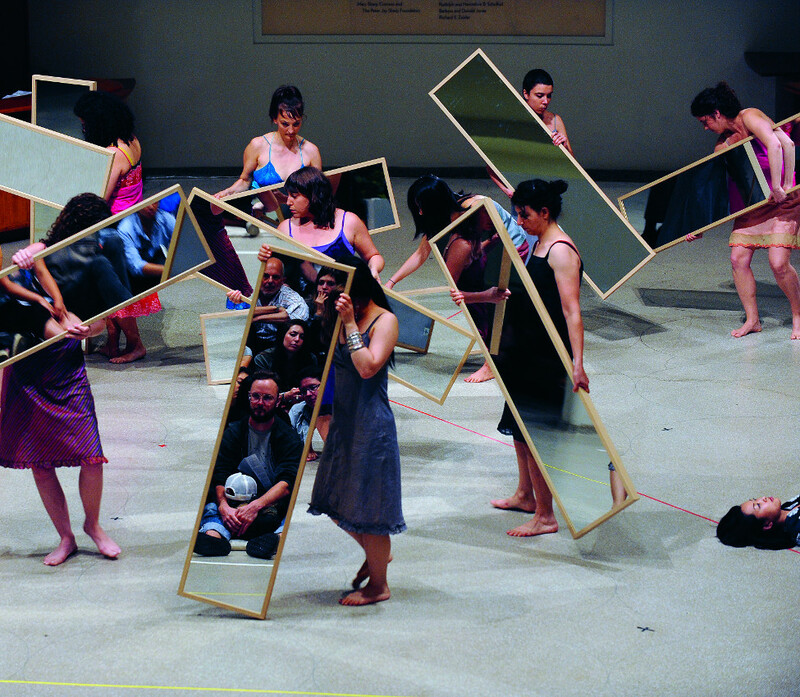 In the original staging of Mirror Piece I at New York University’s Loeb Student Center, a group of mostly women performers moved in slow, choreographed patterns while holding oblong mirrors in front of their bodies. Two men walked among the women, periodically interrupting their movements to lift, carry, and deposit them in different positions. Facing out, the moving mirrors continuously revealed the reflections of the audience, complicating the relationship between spectator and spectacle. 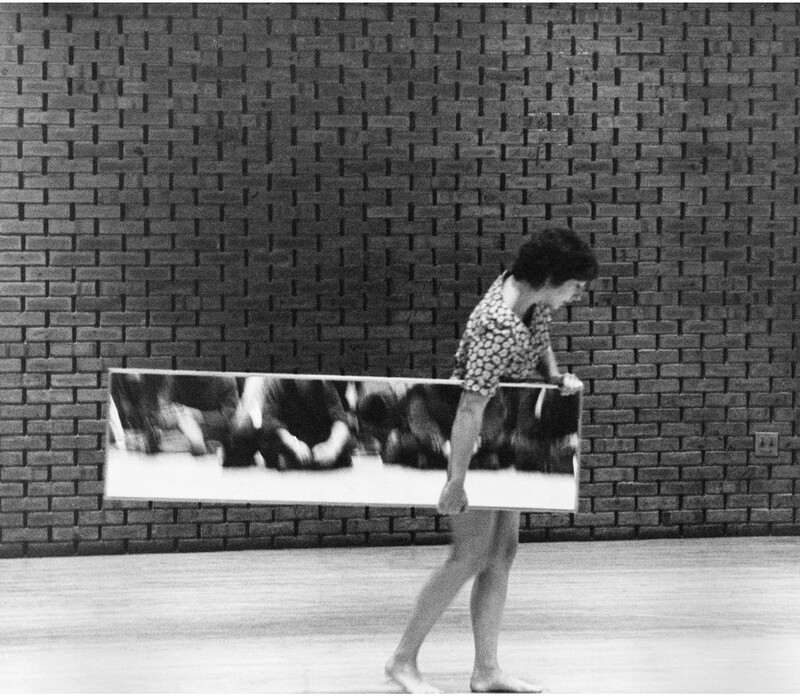 In Mirror Piece II, which was staged at New York’s Emanuel-El YMHA, the performers carried heavier mirrors and pieces of glass, slowing the pace of their movements and creating a sense of risk and vulnerability to their bodies. For later stagings of these performances at the Guggenheim Museum, New York (2010), the Kulturhuset Stadsteatern, Stockholm (2013), and the Tate Modern, London (2018), Jonas incorporated reworked choreography and musical components. At Mount Holyoke, Mirror Piece I & II: Reconfigured (1969/2018-2019) will be performed by students who are pursuing majors in the visual and performing arts. Nefeli Skarmea, a London-based dancer and curator, will collaborate with Jonas on the project. Co-sponsored with the InterArts Council and the Office of the Dean of Faculty.